Matt Lewis and Renato Poliafito recently opened their second Baked store in Charleston, NC! Also – make sure to tune in or set your DVR’s, to Viva Daisy! 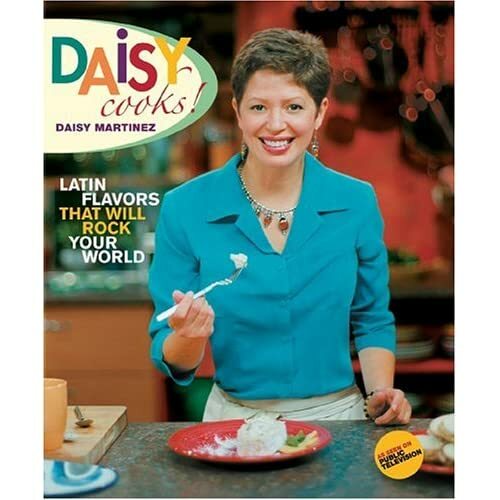 hosted by Cookstr chef Daisy Martinez which airs on the Food Network, Saturday mornings at 9:30 AM Eastern. Greetings! And Happy Day After Inauguration Day! Welcome back to The Cookstr 10, Cookstr.com’s newsletter. In each newsletter we will highlight ten chefs and authors, recipes, books, tips & techniques, or other selections we think you’ll enjoy. Very few things are recession proof, but clearly one is cooking at home. There are so many amazing meals to make that don’t dent your bank account, and we plan to add new budget-friendly recipes every week. Here are ten dinners under 10 bucks that won’t leave you feeling nickled and dimed in the satisfaction department. There are burgers, and there are Burgers. This is a Burger. And Elvis’s birthday was just last week. Pork loin is a serious centerpiece roast, and so much less costly than other meats. This one sports a Spanish heritage. For all you vegans out there…hearty, inexpensive, and ready in half an hour. Spicy, with a drizzle of fragrant sesame oil to finish it off. You can also make this with chicken. This is the Roman version of a dish usually associated with the Abruzzi region of Italy. Long, slurpable noodles make this a kid favorite, too. The coconut milk in the Philippine dish keeps the chicken moist, and also makes a rich and fragrant sauce. A riff on risotto with barley as the star grain. Purists may scoff, but the rest of us have a new whole grain vegetarian dish to embrace. Honey + mustard + chicken = fast, cheap family-friendly dinner. We hope you find tons of great recipes on Cookstr.com. As you know, Cookstr.com shares great recipes from cookbooks, written by trusted and acclaimed chefs and authors. This weekly newsletter, The Cookstr 10, will feature tips and recipes from the chefs and authors you love, sneak peeks at new recipes BEFORE they go live on the site, and announcements of new Cookstr.com features as we develop them. If have friends who are always eager for great new recipes, we hope you will forward The Cookstr 10 to them. And thank you once again for being one of our earliest visitors and subscribers! We’re working on new features, and adding new recipes every day – and always appreciative of your feedback! You are receiving this newsletter because you registered with Cookstr.com. If this issue was forwarded to you and you would like to begin receiving a copy of your own, please visit our site at http://www.cookstr.com and sign up for free membership. My very good friend Will Schwalbe and a crew (Chris Styler, Katie Workman, Mary Goodbody) are rocking a new website that launched this past November called Cookstr which merits a looksee. 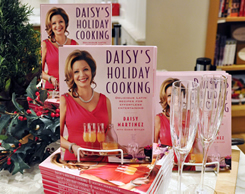 You can find recipes from any published cookbook author. They have menus, tips and great recipes, so stop by and take a peek.